A beautiful blend of modern and tradition. 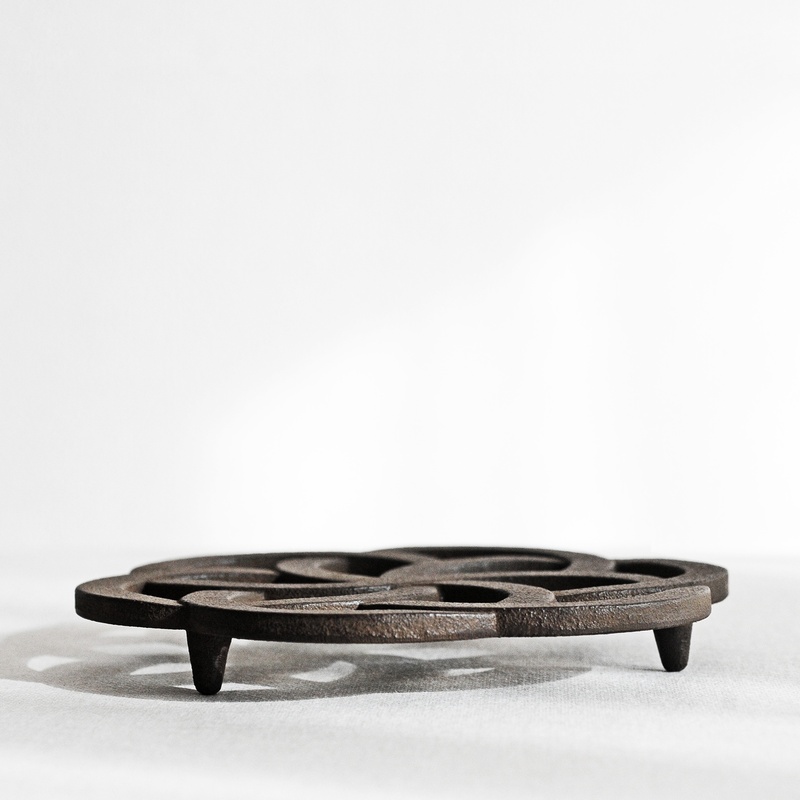 This iron trivet designed by Sゝゝwas produced at the Morihisa Suzuki Workshop in Morioka Iwate, the hometown of "Nanbu Iron". 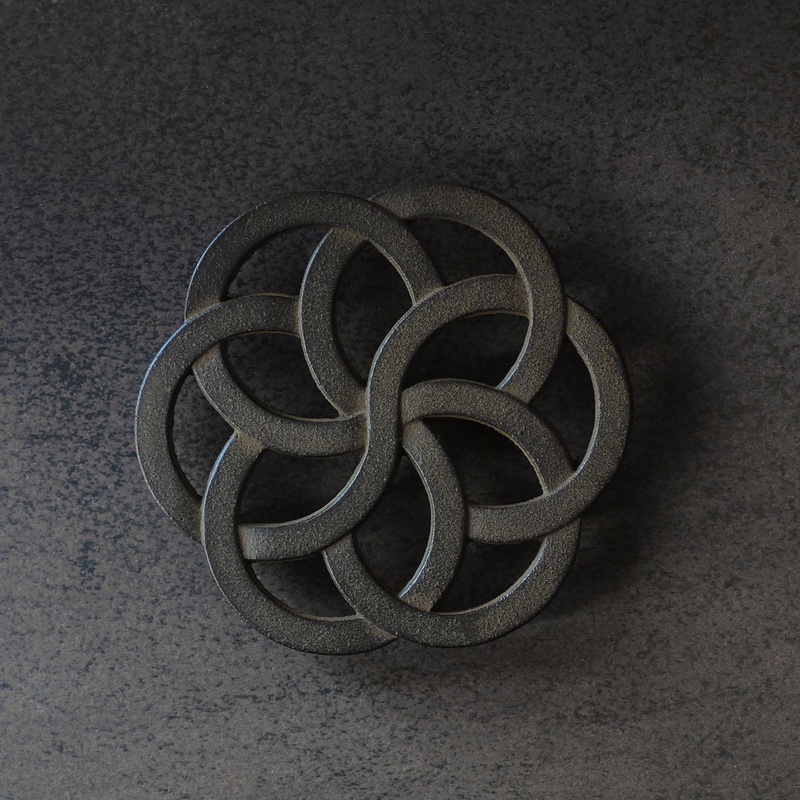 The Morihisa Suzuki Workshop has been producing iron products since 1625 and their traditional metal-casting method gives there products a distinctive texture.